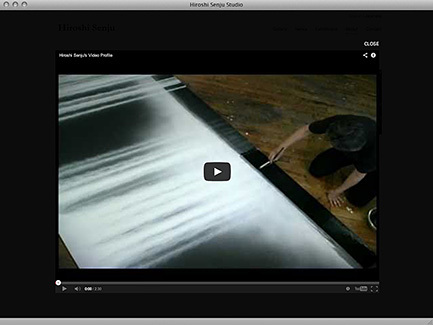 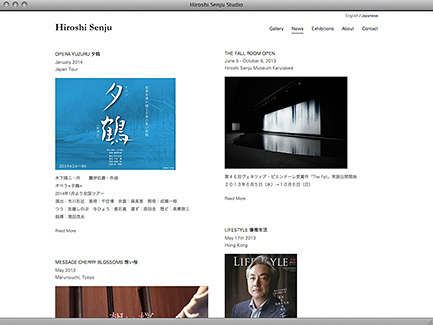 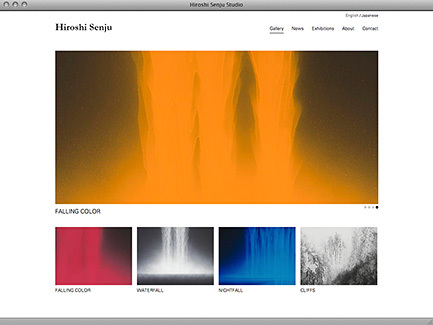 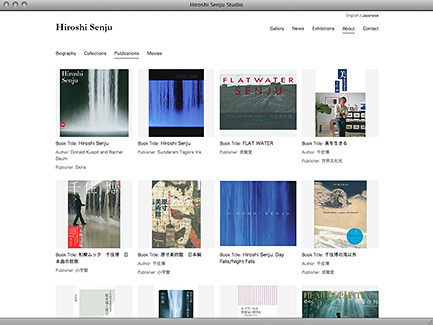 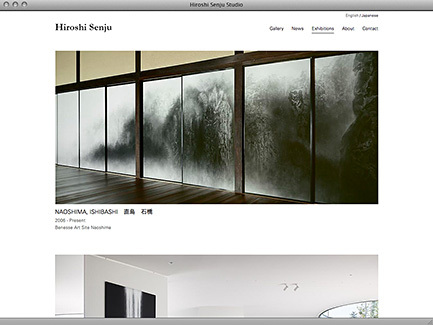 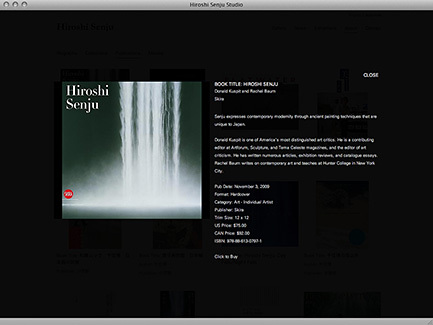 Noted worldwide for his sublime waterfall and cliff images, Hiroshi Senju combines a minimalist visual language rooted in Abstract Expressionism with ancient painting techniques unique to Japan. 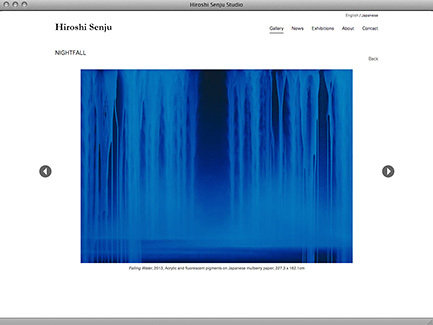 In his most recent paintings, the New York-based artist uses fluorescent pigments to create waterfall images, a style he first explored in 2007. 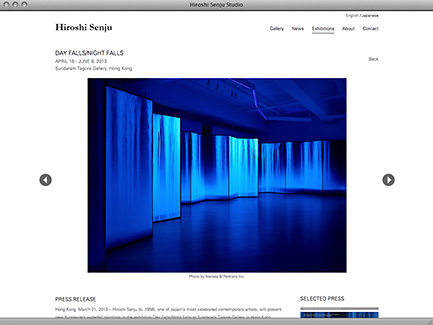 These paintings are black and white in daylight, yet under ultraviolet light they fluoresce an arresting electric blue. 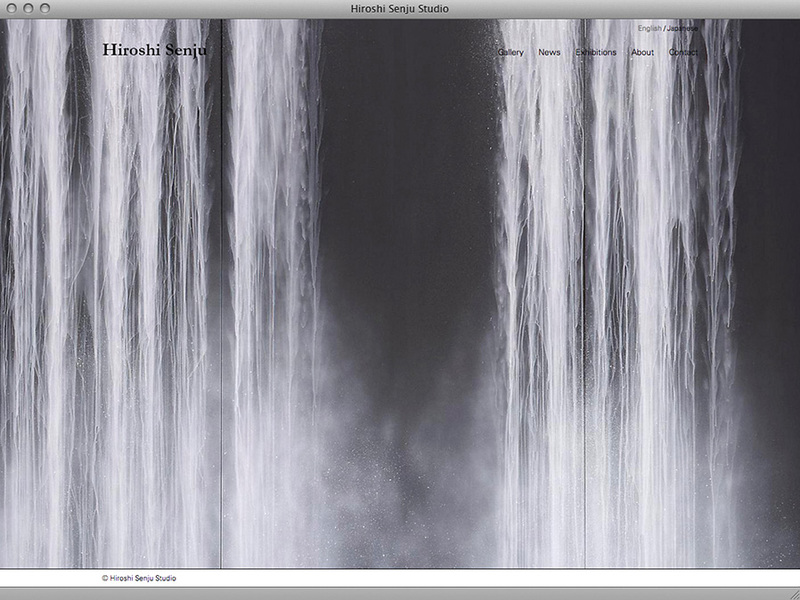 Senju’s waterfalls hover between night and day as he straddles the realms of the material and the ethereal.